Dr. Edith Eva Eger, Ph.D.
Today, Dr. Eger is a prolific author and a member of several professional associations. She has a clinical practice in La Jolla, California and holds a faculty appointment at the University of California, San Diego. Keywords: california US "san diego" "mira mesa" 2012-12 2012-12-01 TEDxSanDiego "qualcomm auditorium" TEDxSD2012 conference TEDx "Independently Organized TED Event" "Edith Eva Eger" "Turning Broken Bones into Dancing - A Journey through Life" "holocaust survivor" "Finding Freedom in Auschwitz" "Session 1: Cause & Belief"
Description: photo attribution: sean dreilinger http://durak.org Dr. Edith Eva Eger, Ph.D. Turning Broken Bones into Dancing - A Journey through Life http://www.dreee.com/ A native of Hungary, Edith Eva Eger was just a young teenager in 1944 when she experienced one of the worst evils the human race has ever known. As a Jew living in Nazi-occupied Eastern Europe, she and her family were sent to Auschwitz, the heinous death camp. Her parents lost their lives there. Toward the end of the war Edith and other prisoners had been moved to Austria. On May 4, 1945 a young American soldier noticed her hand moving slightly amongst a number of dead bodies. He quickly summoned medical help and brought her back from the brink of death. Today, Dr. Eger is a prolific author and a member of several professional associations. She has a clinical practice in La Jolla, California and holds a faculty appointment at the University of California, San Diego. 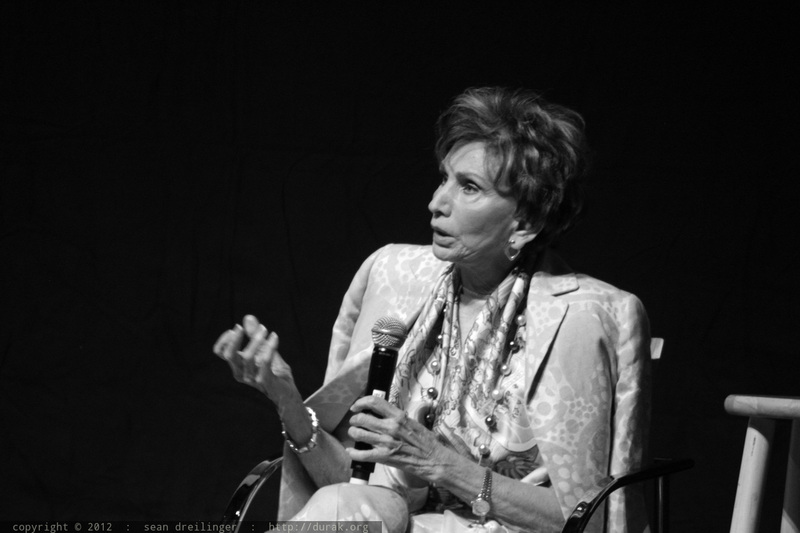 Image Description: photo attribution: sean dreilinger http://durak.org Dr. Edith Eva Eger, Ph.D. Turning Broken Bones into Dancing - A Journey through Life http://www.dreee.com/ A native of Hungary, Edith Eva Eger was just a young teenager in 1944 when she experienced one of the worst evils the human race has ever known. As a Jew living in Nazi-occupied Eastern Europe, she and her family were sent to Auschwitz, the heinous death camp. Her parents lost their lives there. Toward the end of the war Edith and other prisoners had been moved to Austria. On May 4, 1945 a young American soldier noticed her hand moving slightly amongst a number of dead bodies. He quickly summoned medical help and brought her back from the brink of death. Today, Dr. Eger is a prolific author and a member of several professional associations. She has a clinical practice in La Jolla, California and holds a faculty appointment at the University of California, San Diego.